The new year is just around the corner! Every year around this time I try to evaluate myself, and ask the Lord to show me where I need to make changes in the coming year. 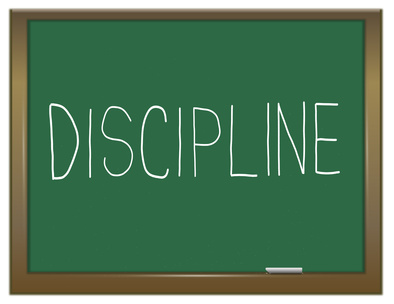 In 2014, one of the areas I know I need to improve as a wife and mom is the area of discipline. I am not speaking of discipline for my children, but rather myself. I write about this topic with much hesitation, as I find myself daily aware of my own shortcomings. However, I know this is an area where many of us struggle, and I hope the lessons I am learning and trying to implement in my own life can help not just me, but someone else. Spending time with the Lord…This is always a battle, but I have found it to be especially hard when your children are small, and don’t seem to sleep much! However, I have discovered that when I get up before my children get up, and have my quiet time with the Lord, I am in a much better frame of mind for the day. I need to seek God’s wisdom as a wife and mom, and spend time praying for my family. It is very hard to do this as the day goes on, once I am already busy, and have little voices calling for my attention. When I make my time with the Lord a priority, it makes a difference in my heart and attitude. I did an earlier post dealing with some of the challenges of keeping your walk with the Lord when you’re a mom with young children here: https://livingonpbj.wordpress.com/2013/07/29/he-shall-gently-lead-those-that-are-with-young/. Correcting and training my children when they need it…not when it’s convenient, not when I feel like it, not when I’m thoroughly frustrated, not when I’m embarrassed….I’m sure you can relate. Child training takes a lot of time and effort, and children don’t wait to misbehave until you have the “time” to spend on them. They seem to pull their best shenanigans when you’re on the phone, cooking supper, nursing the baby, or in the middle of whatever it is that you don’t want to stop doing. Correction when they need it saves me from getting to the point where I am struggling to control my temper, and them from continuing in wrong behavior, and feeling that they are “getting by with it”. Enjoying and encouraging my children. Frankly, being a mom is a lot of work. It is easy to get bogged down in the mundane and difficult parts of raising children, and miss the joy. I need to discipline myself to look for and enjoy the sweet, cuddly moments, the hilarious antics, and even the messes of my children. We are making memories! And, as much as I need to correct their wrong behaviors, I need to encourage and praise good behavior. I have watched the attitudes of my children change when I remember to encourage them. I also need to be reminded to make time to play with my children, to converse with my children, and to cuddle with my children. They are only little for a short time! Leading by example. I have recently been trying to change my eating and exercise habits. One of the main motivations for this is that I want my children to eat healthy foods, to have a good understanding of nutrition, and to stay active. I realized that it wasn’t going to work for me to just tell them what was good if I wasn’t doing it. It has been encouraging to see my little ones trying new foods, and learning about what is good for us and what isn’t. This leadership principle holds true in every area of our lives. We influence our children much more with our ways than with our words. Guarding my tongue. Oh my! This is a big one! 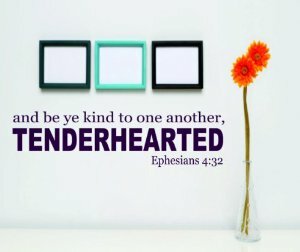 I think the most convicting verse to me in Proverbs 31 is verse 26, “She openeth her mouth with wisdom, and in her tongue is the law of kindness.” It takes a huge amount of discipline, and the constant help of the Holy Spirit, to live by this verse. Although our example is crucial, the words we say (and how we say them) are also vitally important. Managing my time. Being disciplined with my time is a real challenge for me. The virtuous woman was obviously a good steward of her time. She took her responsibilities seriously and managed her assets well. How I long to be better at this! I often find myself saying, “I don’t have time”, when the reality is that I haven’t planned or prioritized well. A great book I recently read on this subject is “Stewarding Life” by Paul Chappell. It’s more than just another book on organization or time management. It’s about making time for what’s really important, and learning to eliminate what isn’t. You can find it here: http://www.strivingtogether.com/products/Stewarding-Life.html There is also a daily planner available to go along with it. Receiving instruction and correction. How do you handle instruction or correction? I don’t know about you, but as a mom, much of my job is teaching and correcting. I spend a good part of every day saying, “Do this. Don’t do that. Don’t do it that way. Do it this way.” And yet, when someone needs to correct something I’m doing, I don’t always react well. Pride often causes us to refuse to be corrected. I don’t want my children to roll their eyes, or smart off to me when I correct them, but they probably will if that is how I react to correction or instruction (remember #4?). I need correction. I need instruction. I need it from the Word of God. I need it at church. I need it from my friends. And yes, I need it from my husband. 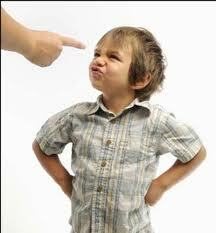 The truth is that many times our children don’t respond well to being instructed or corrected because we don’t. The Bible word for the type of discipline I am speaking of is temperance. It is a fruit of the Holy Spirit (Gal. 5:22-23). None of the things I mentioned are easy or come naturally. Just the opposite is true. Our nature is to let our flesh and our desires control us. And this list is just the tip of the iceberg. I need temperance in every area of my life. True temperance does not come from “turning over a new leaf”, or joining some type of program, or making new year’s resolutions. True temperance, self-control, is produced in my life as I yield control of myself to the Holy Spirit. He will teach me as I spend time in the Word of God and prayer. He will give me the wisdom and patience to be the wife and mother God desires me to be. He will help me to be a loving leader as I follow Him. He will “set a watch…before my mouth” and “keep the door of my lips” if I will let Him. He will help me to redeem the time. May God bless you in the coming year! 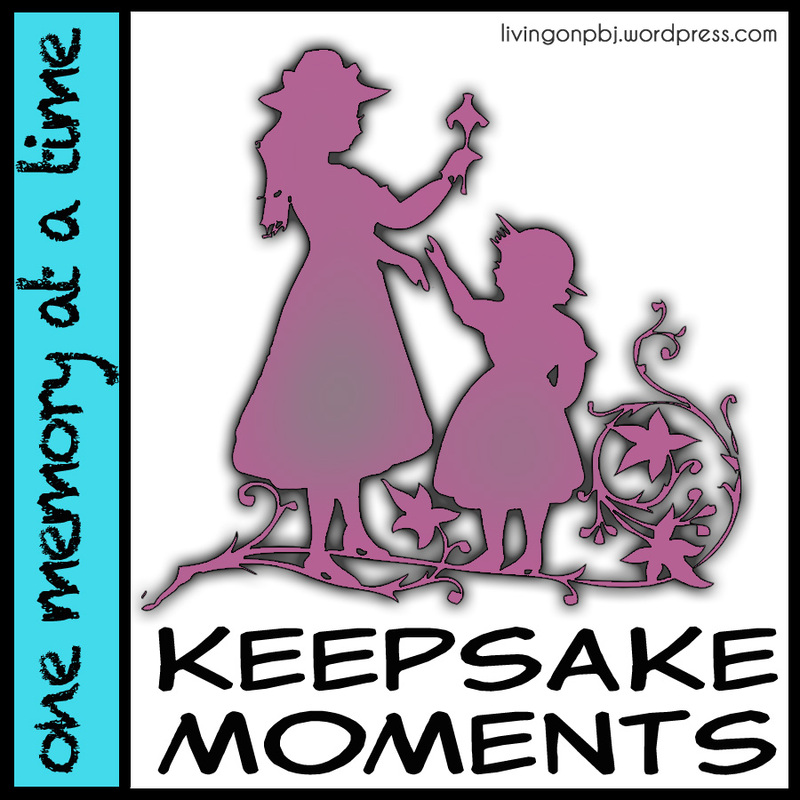 Categories: as a woman, being mom, being wife, children, encouragement, holidays/seasonal, home management, life lessons, New Years, Niki, the moms, training, Uncategorized | Tags: 2014, discipline, Holy Spirit, New Year, resolutions, self-control, temperance | Permalink. Have you been there? 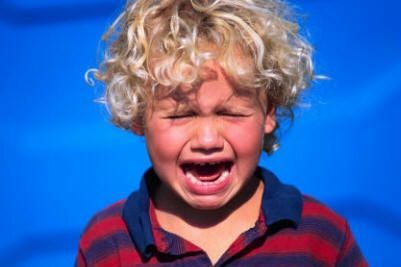 Your child completely pitches a fit – crying, screaming, stomping, throwing stuff. You’re embarrassed and miserable. Your child will soon be embarrassed and miserable. You’re not sure if you’re ever getting through to him. When will he learn? This has been the norm for us lately. We have one that is very strong-willed, and the last two weeks have been really upsetting. My son is almost 6. He is definitely our most stubborn, and we have more battles with him than our other two combined. We know God has a great plan for him, but it’s hard to keep that in sight when a battle is waged over breakfast, toys, naps, school, you name it! My husband and I are doing our best to be consistent with disciplining him, and constant in our love and giving him “positive” attention as well. But then just as it seems we are making progress, he will “lose it” over the smallest things! Today… his attitude scared me! I wasn’t scared of him, I was scared for him. You see, he is at the age of accountability, and a war is on for his precious soul! The devil wants him to turn away from God and not care about salvation. God wants him to do right, and to obey his parents. They both want his soul! But the difference is that God loves him! Oh, how he loves my little boy! And I have to remember that! Because sometimes I feel like it’s all on me, but it’s not. Yes, I am his mother. I have a huge part to play. I need to be close to the Lord, dependent on Him as I live the Christian life in front of my little ones every day. But God is his Heavenly Father, and loves him far more than I ever could! I am just one of the vessels God is using to reach my child for eternity. So here I am… totally transparent and broken for my son’s soul. Totally dependent on God! It is not the battle that makes us dependent on God. It’s the battle that reveals that we are already dependent on Him, whether we remember it or not! I’m glad I’m not in control of this situation. God is! And I need to obey His Word in raising my children. And He will take care of the rest! Take heart, dear mother. God loves you, and He loves your children! 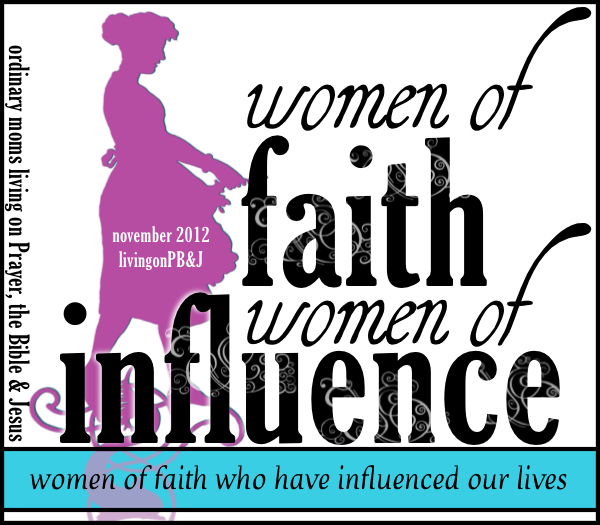 Categories: being mom, Joy | Tags: age of accountability, discipline, God loves your children, pitching a fit, salvation | Permalink. Occasionally when my Jackson (5) gets upset with me, he will say, with furrowed eyebrows, “Mommy, you’re not being NICE!” Well, that swiftly piles extra punishment on him! One day after he said that, I thought, Am I being nice? Of course, he was mad because he had not been allowed to do something, or had something taken away, or had simply been told to be quiet. I don’t remember the offense, but I felt very convicted as I realized that the way I handled him really wasn’t nice. That led me to a verse I consistently use with others, but I seem to forget that they apply with my children as well! I try to practice kindness to everyone around me. My fellow church members, piano students, friends. But I so often overlook my own family. The word kind here means “mild or pleasant”. Is my manner with my children mild and pleasant? Sometimes it is, but I often forget that they are little people. And all people have feelings. I can be rude, or brush them off. But I am to be pleasant with them. If my children could put it into words, would they say I am pleasant? I fear they would not. Ouch! But who better to receive my kindness than my very own household? My own precious little ones should receive far more kindness than the cashier at Walmart. But I get comfortable and forget. And let’s not forget our husbands. Who receives more kindness? Strangers, or our hubbies? Double ouch! I am so grouchy and grumpy with my husband sometimes! But I want to practice kindness on him! He deserves it more than the librarian! There are many other Scriptures that give basic commands. We need to apply them in our family life. Verses about preferring one another, speaking kindness, practicing charity. I don’t know about you, precious mommy, but when I’m up to my eyeballs in laundry, dishes, and meals, it’s easy to overlook my little people as what they are: people. They have feelings and their lives are being shaped and molded every day. Let’s practice kindness on the most important people today: our families! Categories: being mom, Joy, learning from our children, lessons taught & lessons learned, training | Tags: be ye kind, being nice, children, correcting, discipline, kids, kindness, learning, listening, reflecting Jesus | Permalink.